Glenallen School, located in Glen Waverley, provides individual learning programs for students aged between 4.8 and 18 years, who have a physical disability and/or significant health impairment requiring paramedical support. 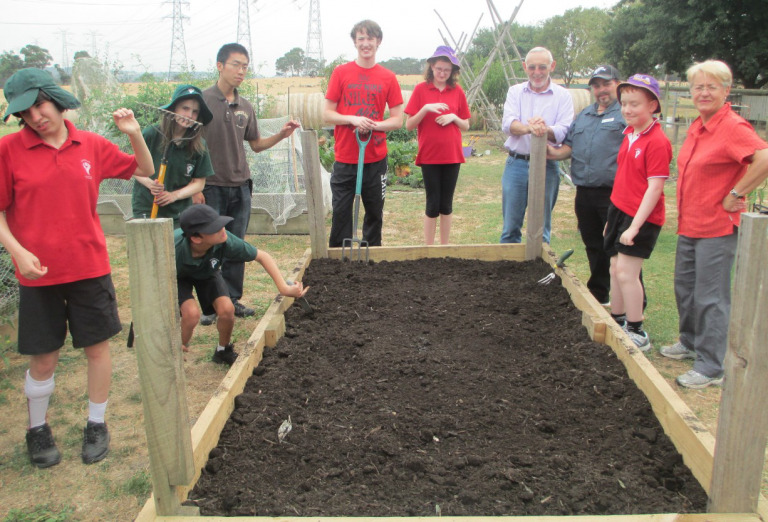 In 2014 we had a project with Glenallen where each fortnight for 4 months we joined a group of their secondary school students to assist with their gardening project. 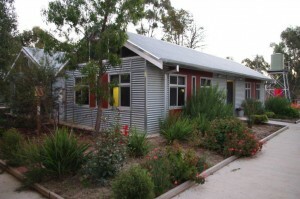 They have leased a small plot at Chesterfield Farm in Scoresby and planned to grow, harvest and then cook their produce. They are a fun bunch of kids who manage their disabilities with great energy and are eager to learn. Each aspect of their work in the garden linked to the curriculum. For instance, the week’s planting involved measurement for maths, reading for knowledge of plants and soil preparation and writing as they write or verbally record the day’s activity. 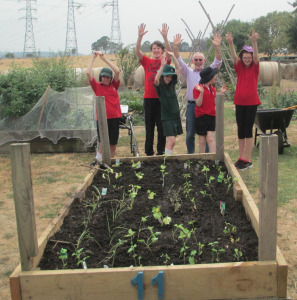 It was hard work for them, firstly loading in the soil, raking and soaking, before finally measuring and planting, but they got there! Patrick and I were joined by Dave Chan, our very enthusiastic Swinburne volunteer. It was a pleasure to be with them all. Each year our Rotary Club assists the teachers to run a class camp at Rotary’s Camp Getaway in Axedale. We run the kitchen for them and the teachers run a wonderful program for the kids. Often it is the first time they have been away from their parents overnight, but they are kept to so busy having fun that they don’t have time to miss home. An important part of our Community Service program, this is a very rewarding experience for all those involved.